Израиль ұрпақтары (בני ישראל, Standard: Bnai Yisraʾel; Tiberian: Bnai Yiśrāʾēl; ISO 259-3: Bnai Yiśraˀel) Яғқұб пайғамбардың он екі балаларыан таралған ұрпақтар атауы. Өз бауырын Исауды (Исав) қарсы алуға келе жатқан Яғқұб пайғамбарға жолда періште кезігіп оның есімі бұдан былай Исраил (Израиль) болатындығын хабар етеді. Яһуди тілінде B'nei Yisrael ("Израиль ұрпақтары"). Гректің Еврей (Jew) сөзі Иеһуда(Judah) немесе Иеһуда патшалығынан таралған адамдарға қатысты туынды сөз. 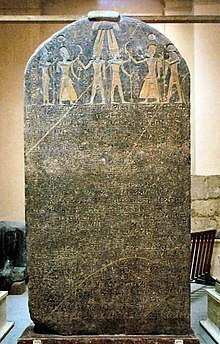 In this carving on the Black Obelisk, possibly Jehu, king of Israel, or Jehu's ambassador, bows before Shalmaneser III of Assyria. Dated 825 BCE. Иеһудейлерді (יְהוּדִים‎, Yehudim), 539-жылы Персия отарлайды. Вавилония Персия Империясының автономды облысы болып қалды. Персияда өмір сүрген яһудилер өкілдері Мешхед деп аталады. Albertz Rainer A History of Israelite Religion, Volume I: From the Beginnings to the End of the Monarchy — Westminster John Knox Press, 1994. — ISBN 978-0-664-22719-7. Albertz Rainer A History of Israelite Religion, Volume II: From the Exile to the Maccabees — Westminster John Knox Press, 1994. — ISBN 978-0-664-22720-3. Albertz Rainer Israel in Exile: The History and Literature of the Sixth Century B.C.E. — Society of Biblical Literature. — ISBN 978-1-58983-055-4. Albertz Rainer Yahwism After the Exile: Perspectives on Israelite Religion in the Persian Era — Koninklijke Van Gorcum. — ISBN 978-90-232-3880-5. Becking Bob Law as Expression of Religion (Ezra 7–10) // . Amit Yaira, et al., eds. Essays on Ancient Israel in its Near Eastern Context: A Tribute to Nadav Na'aman — Eisenbrauns, 2006. — ISBN 978-1-57506-128-3. Davies Philip R The Origin of Biblical Israel // . Avery-Peck Alan, et al., eds. The Blackwell Companion to Judaism — Blackwell, 2003. — ISBN 978-1-57718-059-3. Murphy Frederick J. R Second Temple Judaism // . Barstad Hans M. History and the Hebrew Bible — Mohr Siebeck, 2008. — ISBN 978-3-16-149809-1. Becking Bob, ed. Only One God? Monotheism in Ancient Israel and the Veneration of the Goddess Asherah — Sheffield Academic Press, 2001. — ISBN 978-1-84127-199-6. Dijkstra Meindert El the God of Israel, Israel the People of YHWH: On the Origins of Ancient Israelite Yahwism // . Dijkstra Meindert I Have Blessed You by Yahweh of Samaria and His Asherah: Texts with Religious Elements from the Soil Archive of Ancient Israel // . Becking Bob The Crisis of Israelite Religion: Transformation of Religious Tradition in Exilic and Post-Exilic Times — Brill, 1999. — ISBN 978-90-04-11496-8. Niehr Herbert Religio-Historical Aspects of the Early Post-Exilic Period. Bedford Peter Ross Temple Restoration in Early Achaemenid Judah — Brill, 2001. — ISBN 978-90-04-11509-5. Ben-Sasson H.H. A History of the Jewish People — Harvard University Press, 1976. — ISBN 0-674-39731-2. Blenkinsopp Joseph Ezra-Nehemiah: A Commentary — Eerdmans, 1988. — ISBN 978-0-664-22186-7. Blenkinsopp Joseph Judah and the Judeans in the Neo-Babylonian Period — Eisenbrauns, 2003. — ISBN 978-1-57506-073-6. Blenkinsopp Joseph Bethel in the Neo-Babylonian Period // . Lemaire Andre Nabonidus in Arabia and Judea During the Neo-Babylonian Period // . Blenkinsopp Joseph Judaism, the First Phase: The Place of Ezra and Nehemiah in the Origins of Judaism — Eerdmans, 2009. — ISBN 978-0-8028-6450-5. Brett Mark G. Ethnicity and the Bible — Brill, 2002. — ISBN 978-0-391-04126-4. Edelman Diana Ethnicity and Early Israel // . Bright John A History of Israel — Westminster John Knox Press, 2000. — ISBN 978-0-664-22068-6. Coogan Michael D., ed. The Oxford History of the Biblical World — Oxford University Press, 1998. — ISBN 978-0-19-513937-2. Stager Lawrence E Forging an Identity: The Emergence of Ancient Israel // . Coogan Michael D. A Brief Introduction to the Old Testament — Oxford University Press, 2009. — ISBN 978-0-19-533272-8. Coote, Robert B.; Whitelam, Keith W. (1986). "The Emergence of Israel: Social Transformation and State Formation Following the Decline in Late Bronze Age Trade". Semeia (37): 107–47. Davies Philip R. In Search of Ancient Israel — Sheffield, 1992. — ISBN 978-1-85075-737-5. Davies, Philip R. (2009). "The Origin of Biblical Israel". Journal of Hebrew Scriptures 9 (47). http://www.arts.ualberta.ca/JHS/Articles/article_47.htm. Day John Yahweh and the Gods and Goddesses of Canaan — Sheffield Academic Press, 2002. — ISBN 978-0-8264-6830-7. Dever William What Did the Biblical Writers Know, and When Did They Know It? — Eerdmans, 2001. — ISBN 978-0-8028-2126-3. 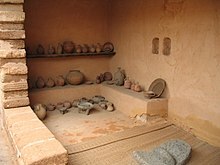 Dever William Who Were the Early Israelites and Where Did They Come From? — Eerdmans, 2003. — ISBN 978-0-8028-0975-9. Dever William Did God Have a Wife? : Archaeology and Folk Religion in Ancient Israel — Eerdmans, 2005. — ISBN 978-0-8028-2852-1. Dunn James D.G Eerdmans commentary on the Bible — Eerdmans, 2003. — ISBN 978-0-8028-3711-0. Rogerson John William Deuteronomy // . Edelman Diana, ed. The Triumph of Elohim: From Yahwisms to Judaisms — Kok Pharos, 1995. — ISBN 978-90-390-0124-0. Finkelstein Neil Asher The Bible Unearthed — 2001. — ISBN 978-0-7432-2338-6. Finkelstein Israel The Quest for the Historical Israel — Society of Biblical Literature, 2007. — ISBN 978-1-58983-277-0. Mazar Amihay The Divided Monarchy: Comments on Some Archaeological Issues // . Gnuse Robert Karl No Other Gods: Emergent Monotheism in Israel — Sheffield Academic Press, 1997. — ISBN 978-1-85075-657-6. Golden Jonathan Michael Ancient Canaan and Israel: An Introduction — Oxford University Press. — ISBN 978-0-19-537985-3. 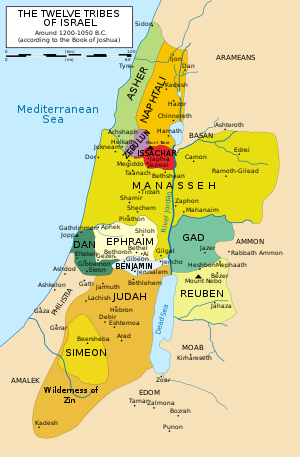 Golden Jonathan Michael Ancient Canaan and Israel: New Perspectives — ABC-CLIO. — ISBN 978-1-57607-897-6. Goodison Lucy Goddesses in Early Israelite Religion in Ancient Goddesses: The Myths and the Evidence — University of Wisconsin Press, 1998. — ISBN 978-90-04-10410-5. Grabbe Lester L. A History of the Jews and Judaism in the Second Temple Period — T&T Clark International, 2004. — ISBN 978-0-567-04352-8. Grabbe Lester L., ed. Israel in Transition: From Late Bronze II to Iron IIa (c. 1250–850 B.C.E.) — T&T Clark International, 2008. — ISBN 978-0-567-02726-9. Greifenhagen F.V Egypt on the Pentateuch's ideological map — Sheffield Academic Press, 2002. — ISBN 978-0-8264-6211-4. Joffe Alexander H. The Rise of Secondary States in the Iron Age Levant — University of Arizona Press, 2006. Killebrew Ann E. Biblical Peoples and Ethnicity: An Archaeological Study of Egyptians, Canaanites, and Early Israel, 1300–1100 B.C.E. — Society of Biblical Literature, 2005. — ISBN 978-1-58983-097-4. King Philip J. Life in Biblical Israel — Westminster John Knox Press, 2001. — ISBN 0-664-22148-3. Kuhrt Amélie The Ancient Near East c. 3000–330 BC — Routledge, 1995. — ISBN 978-0-415-16763-5. Lemche Niels Peter The Israelites in History and Tradition — Westminster John Knox Press, 1998. — ISBN 978-0-664-22727-2. Levy Thomas E. The Archaeology of Society in the Holy Land — Continuum International Publishing, 1998. — ISBN 978-0-8264-6996-0. LaBianca Øystein S. The Kingdoms of Ammon, Moab and Edom: The Archaeology of Society in Late Bronze/Iron Age Transjordan (c. 1400–500 CE) // . Lipschits Oded The Fall and Rise of Jerusalem — Eisenbrauns, 2005. — ISBN 978-1-57506-095-8. Lipschits Oded, et al., eds. Judah and the Judeans in the Fourth Century B.C.E. — Eisenbrauns, 2006. — ISBN 978-1-57506-130-6. Kottsieper Ingo And They Did Not Care to Speak Yehudit // . Lipschits Oded Yehud Stamp Impressions in the Fourth Century B.C.E. // . Markoe Glenn Phoenicians — University of California Press, 2000. — ISBN 978-0-520-22614-2. Mays James Luther, et al., eds. Old Testament Interpretation — T&T Clarke, 1995. — ISBN 978-0-567-29289-6. Miller J. Maxwell The Middle East and Archaeology // . McNutt Paula Reconstructing the Society of Ancient Israel — Westminster John Knox Press, 1999. — ISBN 978-0-664-22265-9. Merrill, Eugene H. (1995). "The Late Bronze/Early Iron Age Transition and the Emergence of Israel". Bibliotheca Sacra 152 (606): 145–62. Middlemas Jill Anne The Troubles of Templeless Judah — Oxford University Press, 2005. — ISBN 978-0-19-928386-6. Miller James Maxwell A History of Ancient Israel and Judah — Westminster John Knox Press, 1986. — ISBN 0-664-21262-X. Miller Robert D. Chieftains of the Highland Clans: A History of Israel in the 12th and 11th Centuries B.C. — Eerdmans, 2005. — ISBN 978-0-8028-0988-9. Nodet Étienne A Search for the Origins of Judaism: From Joshua to the Mishnah — Sheffield Academic Press, 1999. — ISBN 978-1-85075-445-9. Pitkänen, Pekka (2004). "Ethnicity, Assimilation and the Israelite Settlement". Tyndale Bulletin 55 (2): 161–82. http://www.tyndalehouse.com/tynbul/library/TynBull_2004_55_2_01_Pitkanen_EthnicityIsraelSettlement.pdf. Silberman Neil Asher The Archaeology of Israel: Constructing the Past, Interpreting the Present — Sheffield Academic Press, 1997. — ISBN 978-1-85075-650-7. Hesse Brian Can Pig Remains Be Used for Ethnic Diagnosis in the Ancient Near East? // . Smith Mark S. Untold Stories: The Bible and Ugaritic Studies in the Twentieth Century — Hendrickson Publishers, 2001. Smith Mark S. The Early History of God — Eerdmans, 2002. — ISBN 978-0-8028-3972-5. Soggin Michael J. An Introduction to the History of Israel and Judah — Paideia, 1998. — ISBN 978-0-334-02788-1. Thompson Thomas L. Early History of the Israelite People — Brill, 1992. — ISBN 978-90-04-09483-3. Van der Toorn Karel Family Religion in Babylonia, Syria, and Israel — Brill, 1996. — ISBN 978-90-04-10410-5. Van der Toorn Karel Dictionary of Deities and Demons in the Bible — 2d. — Koninklijke Brill, 1999. — ISBN 978-90-04-11119-6. Vaughn Andrew G. Jerusalem in Bible and Archaeology: The First Temple Period — Sheffield, 1992. — ISBN 978-1-58983-066-0. Cahill Jane M Jerusalem at the Time of the United Monarchy // . Lehman Gunnar The United Monarchy in the Countryside // . Wylen Stephen M. The Jews in the Time of Jesus: An Introduction — Paulist Press, 1996. — ISBN 978-0-8091-3610-0. Zevit Ziony The Religions of Ancient Israel: A Synthesis of Parallactic Approaches — Continuum, 2001. — ISBN 978-0-8264-6339-5. Бұл беттің соңғы өзгертілген кезі: 17:44, 2015 ж. қарашаның 16.